The Young Adults are members of Saint John’s who are in their 20s, 30s, and 40s. 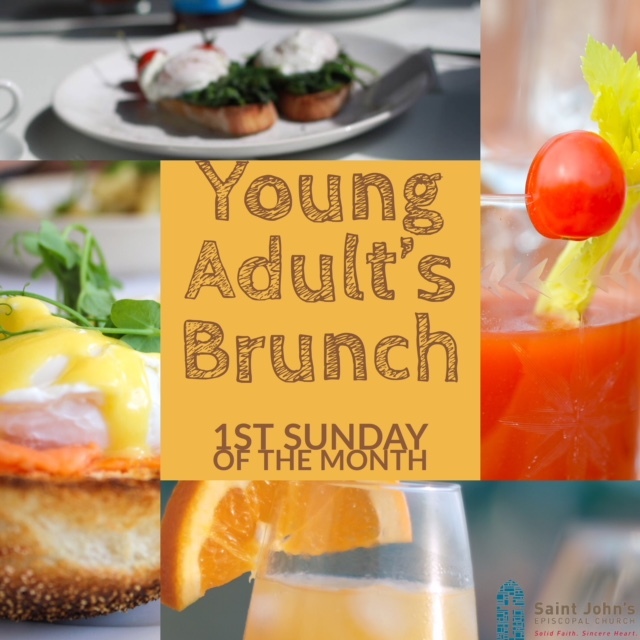 Sunday Brunch: We have brunch on the first Sunday of every month rotating locations each time. Western Days is the annual fundraiser for Saint Simeon’s Episcopal Home, a senior community which is a mission of the Episcopal Diocese of Oklahoma. Western Days raises significant funds for the operation of Saint Simeon’s. The Young Adults of St. John's regularly volunteer at the silent auction.